Which manufacturer builds the best electric hot water heater - Marathon, AO Smith, Bradford White, Rheem, GE or American or other? Check out the advanced features, tips and things to consider when looking for the best model in 2016 / 2017. Reviewed models and listed top sellers utilize 50-gallon storage tanks. 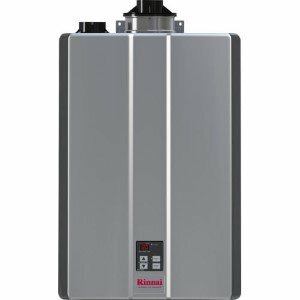 Rheem Marathon MSR50245 is a popular model among the homeowners and contractors, and probably the best electric hot water heater from conventional type models. It is also a top seller on Amazon.com. Marathon has a specific design where the inner tank is made of the seamlessly molded polybutene that is leak-proof and does not corrode, which eliminates the need for anode rods. Thick insulation and the high energy factor of 0.95 are the proof that this model provides great savings with the significantly reduced standby heat loss. All steel-made water heaters have up to 12-year warranty, but not Marathon. Marathon heater comes with the longest one - lifetime warranty, which indicates that this unit has an excellent quality, resulting in a long-lasting operation. A good reason to buy Marathon. The commercial-grade dip tube guarantees the quality and with the unique design makes the incoming water flow, turbulent, which helps in preventing the sediment build up. As said, Marathon as the conventional type heater is not eligible for government tax breaks, but due to its superb efficiency is eligible for rebates from utility companies. 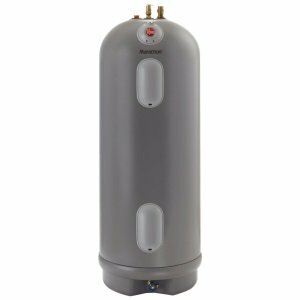 Westinghouse WER052C2X045 model, as opposed to the non-metallic water heater from above, comes with the durable stainless steel tank providing peace of mind to the homeowners as it doesn't corrode and leak due to corrosion. Two Incoloy heating elements are also made of stainless steel as the tank, which guarantees durable and reliable operation and reduced scale buildup at the bottom of the tank and on the electric elements. Other superior features include the lightweight design for easy handling, the high recovery rate of up to 25 gallons and heavy-duty insulation so more heat goes for water heating and less energy is wasted - resulting in the higher energy efficiency of over 92%. 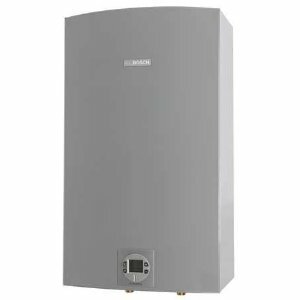 Built in the US, Westinghouse electric water heater is according to the manufacturer "industry best," as it is built to last, resulting in lifetime warranty offered to its owners. Either one from the above review you choose you won't make a mistake, because both models are built to last for many years, but Westinghouse is cheaper for a few hundred dollars. Choosing the best electric water heater for your home should be done carefully. The electricity is expensive, so selecting the model which is a highly efficient and provides enough hot water for your family is crucial for lower energy bills and comfortable use. Electricity is widely used in the US and Canada, while gas is not available in some areas. Furthermore, the fuel cost or the rates are different throughout the continent, so you might want to check is it better to use one or the other fuel source. This is an important decision as it directly affects your water heating costs. When comparing the best electric water heater vs. gas type, water is heated more slowly by electricity, so for the same demand, you will have to buy an electric heater with a larger tank. 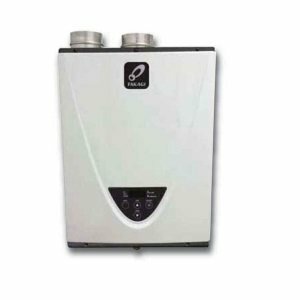 The best electric hot water heater has some advantages over its gas counterparts as being cheaper, has fewer components, installation and maintenance costs are lower and safety is higher. Look for the model that is designed with the high First Hour Recovery, calculated in gallons per hour. It is important for your water heater to provide enough hot water during the peak time. This info is found on the yellow Energy Guide Sticker. Most of the high capacity electric models come with the two heating elements. It is essential that these elements are of high quality; made of stainless steel and have protection from dry-firing. Energy Star recognition and tax credits are not available even on the best electric hot water heater - conventional type, but they are on electric heat pumps. These systems are known as hybrid water heaters, and the EF is very high twice the standard type. 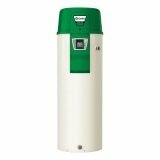 The best electric water heater has the standby heat loss reduced to its minimum, so choosing the unit with the high insulation R-value is beneficial. Lower insulation value, like R-6, means that the device is less efficient (it loses much more energy through the wall than the unit with the R-24, for example). The best electric water heater is equipped with the advanced features and systems such as the self-cleaning system, specially designed dip tube, high-quality heating elements, powered anode or commercial grade type. The best electric hot water heater is the high-efficient unit that comes with the reduced standby heat loss and greater savings; is equipped with the quality components for a long and reliable operation, has decent reviews and is coming from the trusted and proven manufacturer. This is why Marathon and Westinghouse are our choices.